I first found out about Cassidy Guitars when I saw Simon Cassidy play one of his guitars with his band Sundance. I noticed that one wasn’t quite a F###r and one wasn’t quite a G####n. In the interval I spoke to Simon who explained about his range of guitars. I then started lessons with Simon where I was able to study his range of guitars at my fortnightly lessons. Eventually I decided to treat myself as I started to make progress through the grades and my birthday came around. Whilst I liked the look of the UKCB guitars, I couldn’t justify that level of expenditure in relation to my current guitar playing skills. 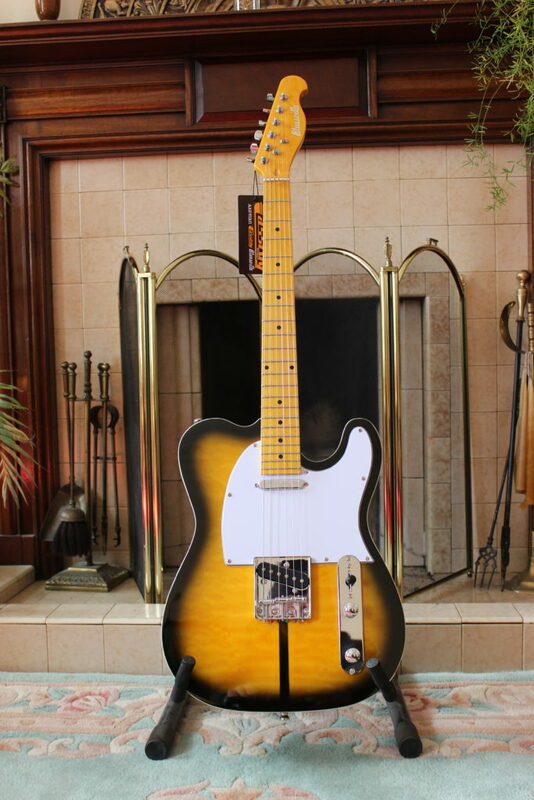 I was looking for something slightly better than a beginners guitar and was keen to have a look at the Bluesville BV511 with it’s simple look and “Tele” style in Tobacco rather than the Cherry Sunburst finish. My first impressions on playing were real bright / clear sounds with a wide range of tones, it felt right in my hands, and looked exactly as I wanted. Since I bought the guitar I took a little while to adjust to the body as I had been used to a Strat type guitar, but I’ve found the neck more comfortable and easier to play. As I want to pick the guitar up more I find that I am playing a lot more. I now have a guitar that I have chosen with the sounds and looks that I like and I’m keen to move my playing forward so that I can become a better player as the guitar deserves this. In terms of the Cassidy Guitars in general, anyone interested or wanting to learn the guitar will be drawn to the better known and established guitar brands. However, Cassidy Guitars are a smaller / lesser known brand which are actually the equal if not superior guitars for usually quite a lot less money. 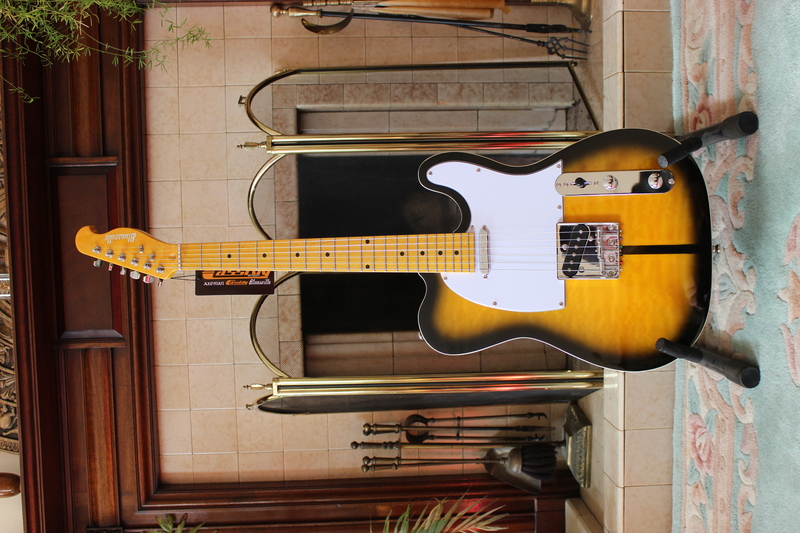 Cassidy Guitars certainly offer you a better guitar for your money. 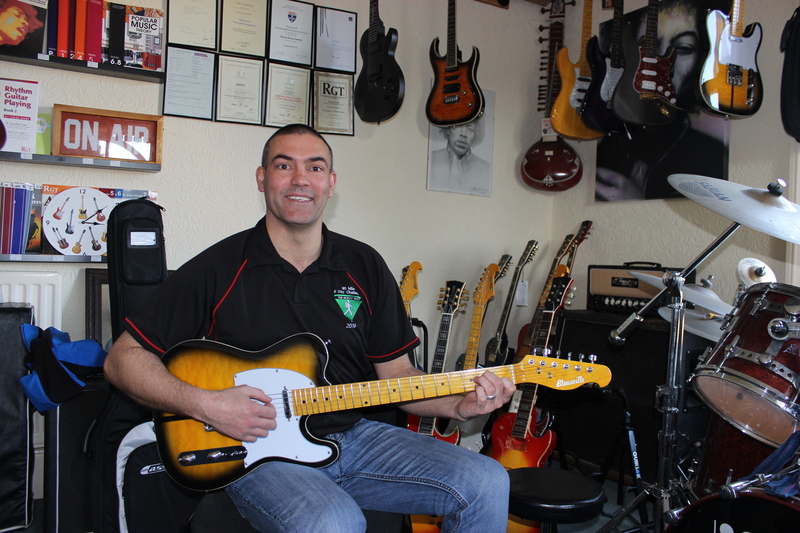 I know Simon spent a lot of time setting my guitar up as he does with all his guitars, which meant that my guitar played and sounded fabulous for a guitar at this price point – far better than I would have expected, very smooth and easy to play with a superb range of tones. My advice to anyone looking for a new guitar take a long hard look at Cassidy Guitars, a lesser known brand but with quality and value for money that will surpass any guitar from a big brand name of a similar price. Don’t be afraid to try something that is not a big brand name – do yourself a favour and get your hands on a Cassidy guitar before thinking about looking elsewhere. Having bought a shiny new guitar it would have been a shame to carry it round in an old gig bag, so I decided that for not a lot more to get a Cassidy Deluxe Hard Case. This not only looks the bees knees but people seeing the case alone assume that it’s carrying a very expensive guitar indeed. It wouldn’t look out of place with a £10k F####r in it. Again absolute top of the range quality for a very reasonable price.